BTO is a soil amendment that improves the microbial ecosystem in soil as well as brings wilted plants back to life (certified as a special fertilizer). It is a fermented extract cultured to help the soil environment work most effectively on plants by using our proprietary lactic acid bacteria TH10 and other effective microorganisms. The ingredients of BTO (A) such as fish powder, soybeans and other high quality organic materials are fermented and matured over time with a combination of yeasts, molds and the lactic acid bacteria isolated from 15 different kinds of Malaysian traditional fermented foods by Dr. Ohhira. 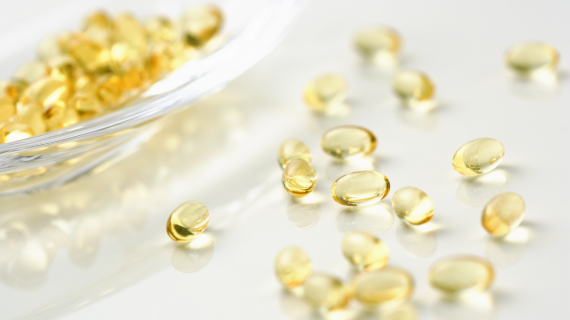 Various kinds of organic acids produced during the fermentation process dissolve minor nutrients observed in soil like iron, boron, manganese and copper in order to facilitate the absorption by plants. 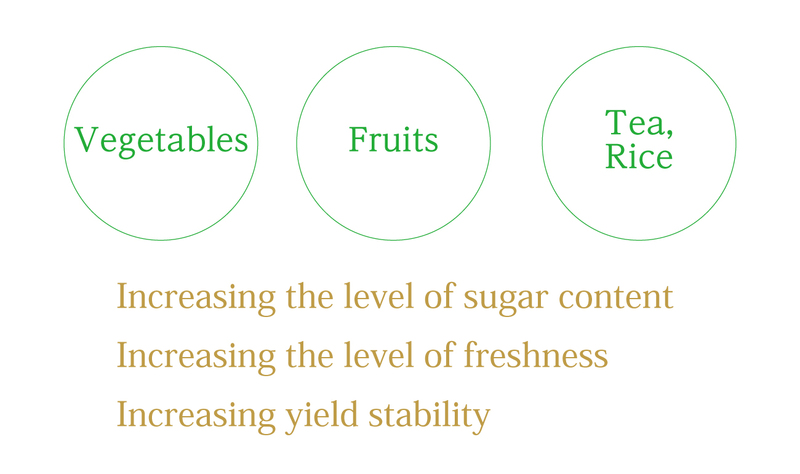 BTO(A) helps to improve the quality (shape, sugar content, freshness) of agricultural products. BTO(B) is mainly composed of photosynthetic bacteria and promotes the proliferation of useful microorganisms. Photosynthetic bacteria become food for the actinomycetes in soil and these proliferated actinomycetes compete with pathogenic bacteria (filamentous fungi) to inhibit their growth. 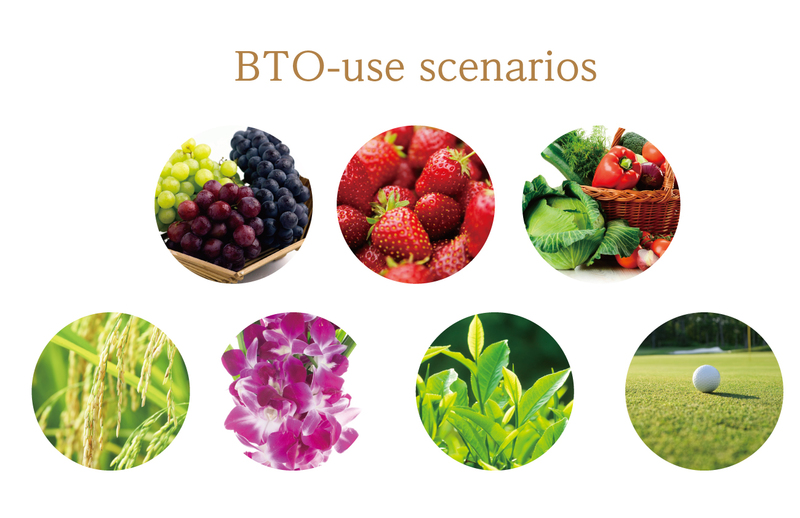 BTO (B) indirectly contributes to beneficial effects by inhibiting the pathogenic bacteria growth. BTO enables environment-friendly farming practices, protects the health of farm producers and consumers, and helps in the stabilization of farm management. Plants grow with the assistance of soil microorganisms. Amino acids and minerals in BTO activate soil bacteria which in turn promote the fermentation of organic fertilizer. As a result, the generation of gas from putrefaction is suppressed and the nutrient balance in soil is regulated. BTO excludes chemosynthetic substances. It is safe, environmentally-friendly and does not disturb the eco system. 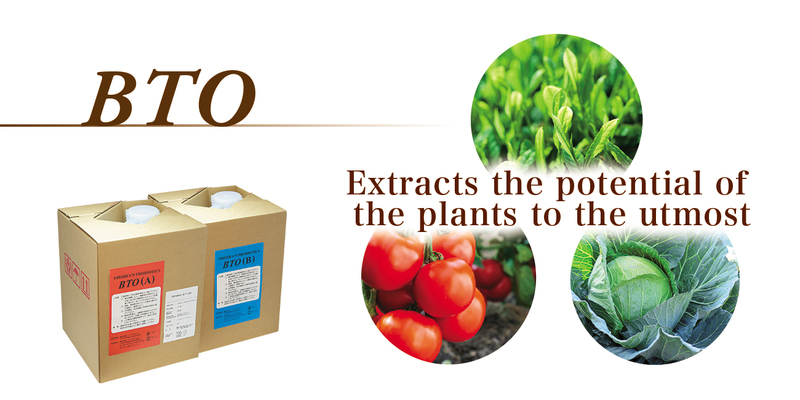 Useful substances and extract produced during the fermentation process in BTO revitalize the soil and plants. 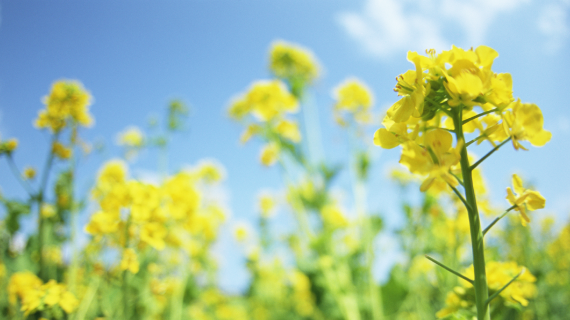 Since BTO promotes plant growth and energizes photosynthesis, the ion absorption by plants is accelerated and contributes to the improved quality of plants and production output. grape, peach, pear, orange, etc. corn, green pepper, lettuce, etc. centipede grass, Kourai grass, etc.